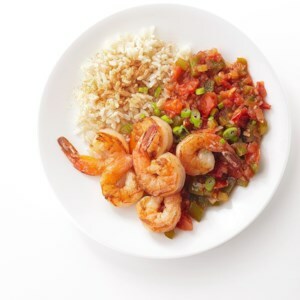 Find healthy, delicious Cajun and Creole recipes, from the food and nutrition experts at EatingWell. This catfish and sausage jambalaya recipe is one you might find in a neighborhood eatery in Creole country. Turkey sausage links have fewer calories and less fat than traditional pork sausage, but still deliver amazing taste to this dish. 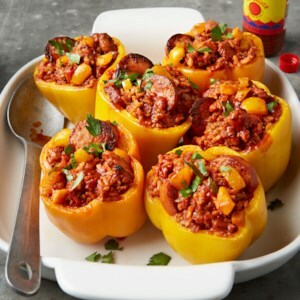 In this healthy stuffed peppers recipe, a delicious jambalaya filling of chicken and Cajun spices gets baked inside of bell peppers. 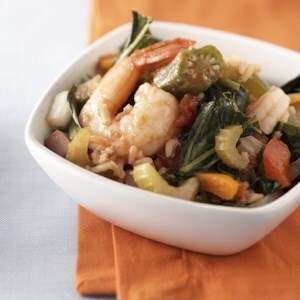 Traditional jambalaya is made with green bell peppers, but you can use green, yellow, or orange peppers (or a mix) for this dish. Look for bell peppers with even bottoms, so that they stand upright on their own. 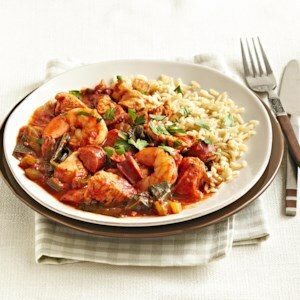 This hearty jambalaya is bursting with chicken, smoked turkey sausage, and shrimp. It takes just 25 minutes to prep in the morning and then your slow cooker will work its magic and deliver a tasty meal at the end of the day. 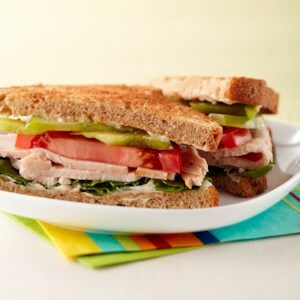 By adding Cajun seasoning to this traditional turkey sandwich, we've elevated it to the next level. 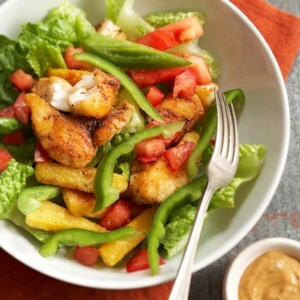 Catfish has a sweet, mild taste, so we flavor it with Cajun seasoning and pair it with crispy polenta. This is one unique meal you'll want to make over and over again. 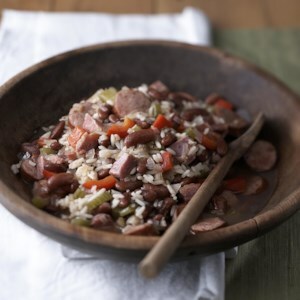 This traditional Creole recipe is made with sausage, pork, and red beans, and it's flavored with zesty spices. 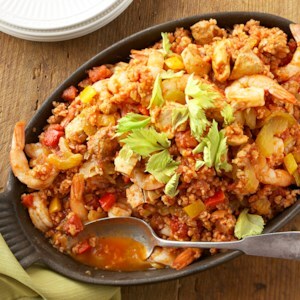 The spicy Cajun favorite is lightened up with turkey sausage, chicken, shrimp, and plenty of vegetables. 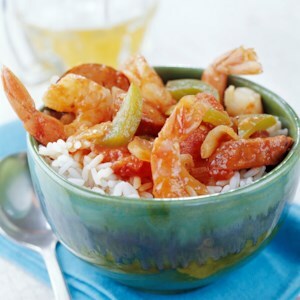 Enjoy the flavors of Louisiana Cajun cooking with this lightened-up version of the famous shrimp and rice dish. 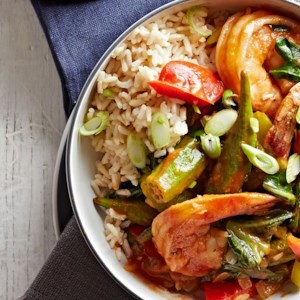 Served over brown rice, this one-bowl Shrimp Jambalaya recipe gets its heat from Cajun seasoning and hot pepper sauce. Collard greens--an excellent source of vitamins A, C, and K--give this classic Cajun favorite a delicious nutrition boost. 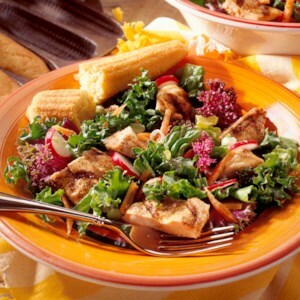 A spicy rub on the chicken adds a robust complement to the cool salad greens in this low-calorie main dish. Mirlitons are gourdlike fruits that taste similar to squash; they are sometimes called chayote. 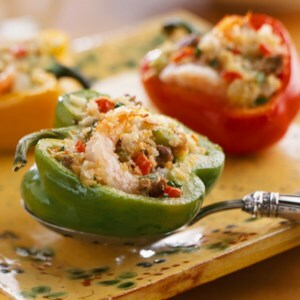 Try them in this diabetic-friendly turkey and vegetable stuffed pepper side dish recipe. 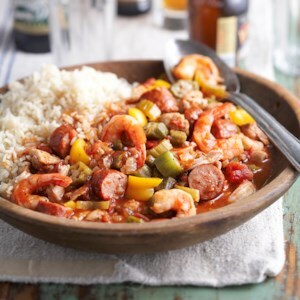 A traditional low-country recipe gets a fresh remake with smoked turkey sausage and tender shrimp, cooked in a rich stew with plenty of vegetables and seasonings. It's ready in less than an hour. 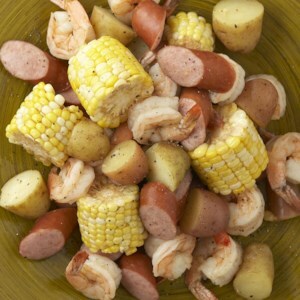 Using smoked turkey sausage adds flavor to this Louisiana-style 30-minute dinner while keeping the calories and fat low. Okra retains a delightful tender-crisp texture when cooked in a packet. 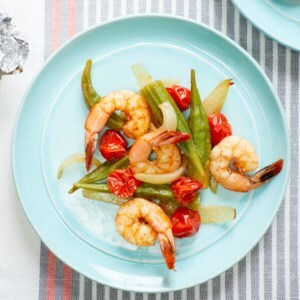 Here, it teams up with shrimp, tomatoes and Cajun seasoning for a satisfying meal with a taste of New Orleans. Serve with grilled whole-grain bread or polenta. 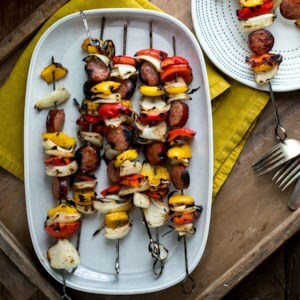 The classic flavors of jambalaya come together in these easy-peasy smoked sausage kebabs. Celery is one of the classic flavors in traditional jambalaya, so we included a pinch of celery seed in the marinade. 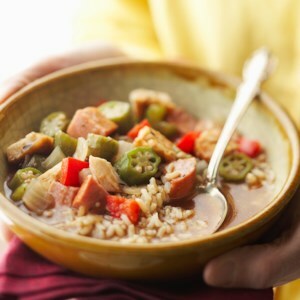 This slow-cooker gumbo recipe skips the fat when browning the flour and swaps in turkey sausage and brown rice, resulting in a healthier dish with the classic Creole taste. 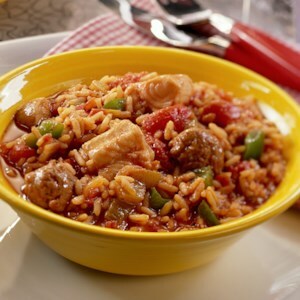 The slow cooker makes easy work of this healthy jambalaya featuring brown rice and plenty of veggies. If you don't want to make your own seasoning, just skip Step 1 and use 1 1/2 teaspoons purchased salt-free Cajun seasoning in Step 2. 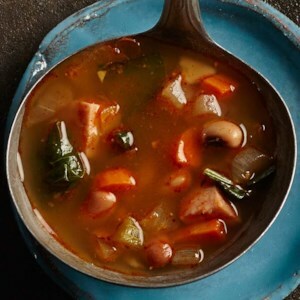 This healthy Cajun-inspired bean soup recipe features black-eyed peas, collards and a bit of andouille sausage. Serve it with cornbread and pass the hot sauce. 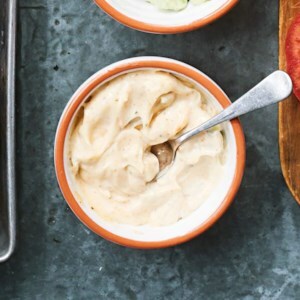 Use this healthy condiment recipe for dipping popcorn shrimp or crudités, or slather it onto a sandwich or burger for a touch of Cajun tang.